Since 1984, our mail-order catalogues have been helping people collect the things they love. We’ve aimed to deliver something for everyone, with a vast array that fuses old with new. 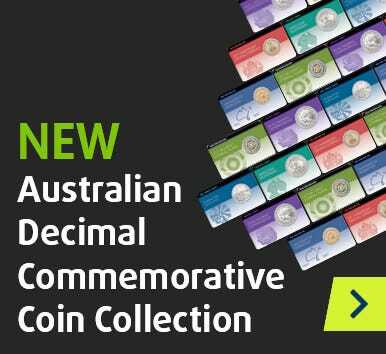 Whether it’s a cutting-edge coin, a gold or silver proof, an ancient coin or a rare predecimal banknote, you’ll find it here. Best of all, our catalogues are now online – so you can shop the way that works best for you. Prices listed are only valid for the specified month and are subject to change without notice. Our products are subject to availability. Prefer a hard copy of our latest catalogue instead? Our customer service department can help.